‘Future Big Room Ableton Template Vol 2’ from Party Design has been created to show you professional techniques for building and mixing a Big Room, House or EDM style track. Everything has been created with maximum precision and care. This set includes all the elements you’ll need to make it as a pro. The template was inspired by famous artists such a Showtek, Hardwell, and W&W. 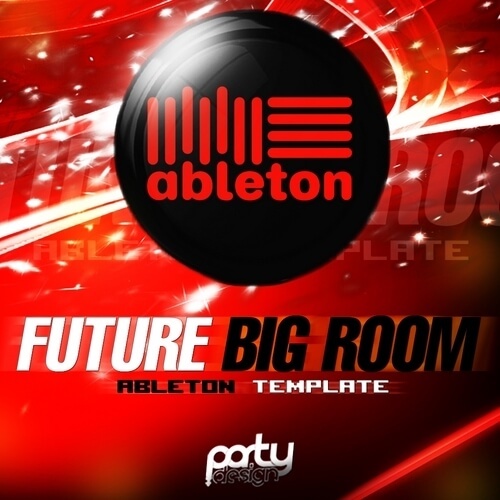 ‘Future Big Room Ableton Template Vol 2’ delivers a ready-to-use Ableton project. Party Design has built a very professional and clean scheme, which you can use to produce your Progressive House bomb. This product requires Ableton Live v9.1.2 and Sylenth1 v2.1. Project needs Image Line Maximus to work correctly.